It’s common practice for many of the world’s most successful people to intentionally direct the workings of their subconscious mind while they’re sleeping. Take a few moments before you go to bed to meditate on and write down the things you’re trying to accomplish. Ask yourself loads of questions related to that thing. In Edison’s words, make some “requests.” Write those questions and thoughts down on paper. The more specific the questions, the more clear will be your answers. While you’re sleeping, your subconscious mind will get to work on those things. Research confirms the brain, specifically the prefrontal cortex, is most active and readily creative immediately following sleep. Your subconscious mind has been loosely mind-wandering while you slept, making contextual and temporal connections. Creativity, after all, is making connections between different parts of the brain. In a recent interview with Tim Ferriss, Josh Waitzkin, former chess prodigy and tai chi world champion, explains his morning routine to tap into the subconscious breakthroughs and connections experienced while he was sleeping. Unlike 80 percent of people between the ages of 18–44 who check their smartphones within 15 minutes of waking up, Waitzkin goes to a quiet place, does some meditation and grabs his journal. If you’re not an experienced journal writer, the idea of “thought-dumping” may be hard to implement. In my experience, it’s good to loosely direct your thought-dumping toward your goals. Consider the “requests” you made of your subconscious just before going to bed. You asked yourself loads of questions. You thought about and wrote down the things you’re trying to accomplish. 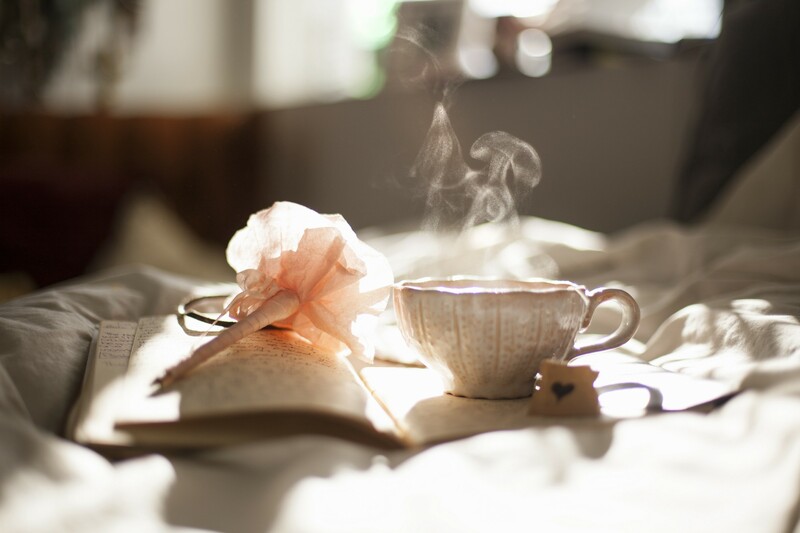 Now, first thing in the morning, when your creative brain is most attuned, after its subconscious workout while you slept, start writing down whatever comes to mind about those things. I often get ideas for articles I’m going to write while doing these thought-dumps. I get ideas about how I can be a better husband and father to my three foster children. I get clarity about the goals I believe I should be pursuing. I get insights about people I need to connect with, or how I can improve my current relationships. To be sure, you’ll need to practice this skill. It may take several attempts before you become proficient. But with consistency, you can become fluent and automatic at achieving creative and intuitive bursts. Neurologically, when you listen to something, a different part of your brain is engaged than when you write it down. Memory recorded by listening does not discriminate important from non-important information. However, writing creates spatial regions between important and non-important pieces of information — allowing your memory to target and engrain the important stuff you want to remember. I dare say that journaling is one of the most important things to do in your life.If done effectively, it will change everything in your life for the better.